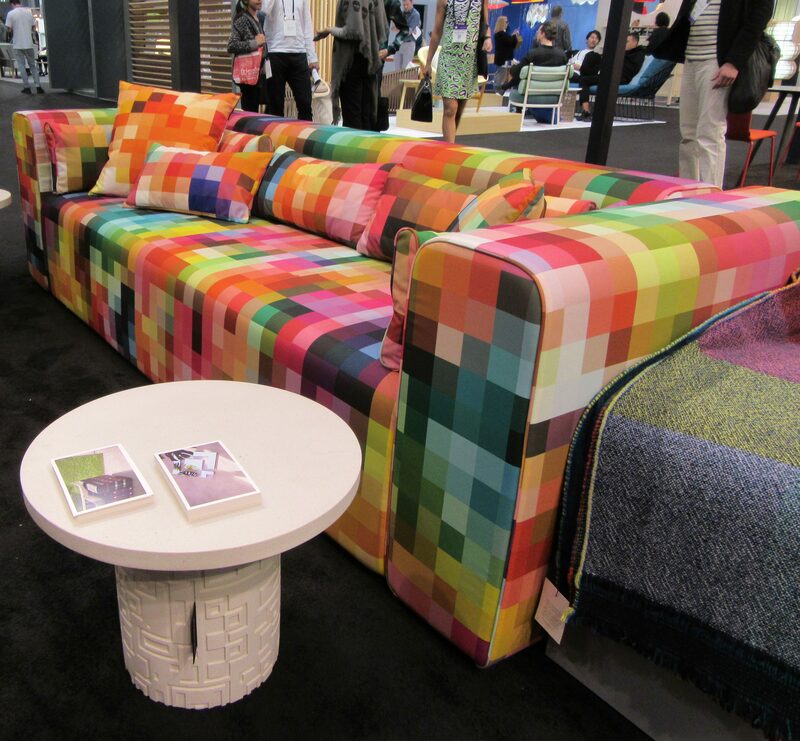 After four hours at the International Contemporary Furniture Fair (ICFF), we were still looking out for that one Wow! piece of the show. 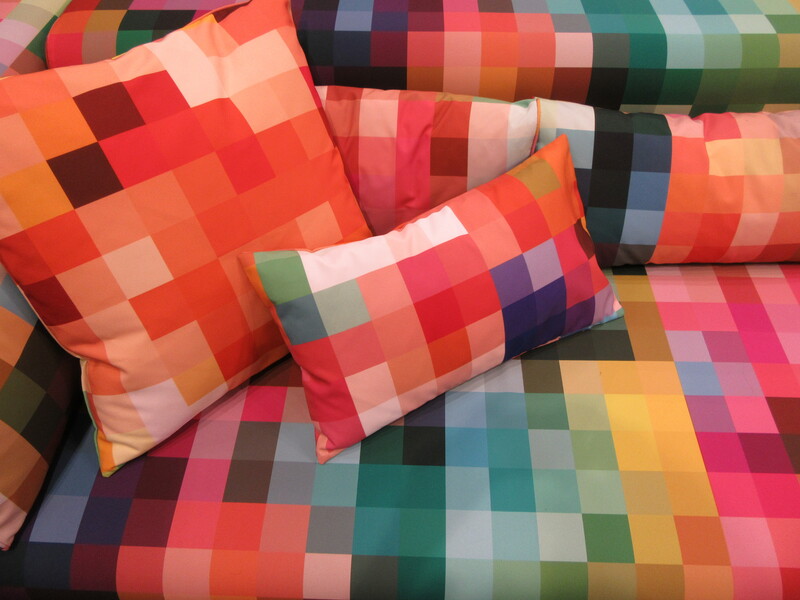 We knew we had found it when we spotted the Pixel Fire Sofa: part of the Pixel Series from Cristian Zuzunaga. I’ll say it now: Wow! It was not possible to get a good, clear shot of the front of the sofa, due to the Fair’s high volume of foot traffic, and of course many people stopping to look at, touch, and sit on this fantastic piece of furniture. I pulled the above image off the website to let you really see the full sofa without obstructions. 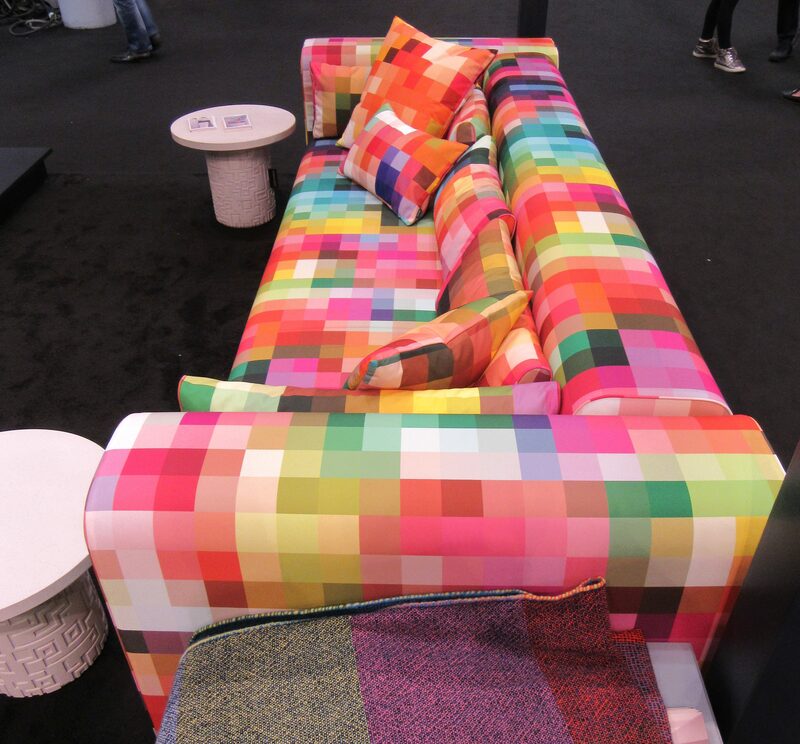 The Pixel Sofa was born of a 2007-2008 collaboration with Moroso UK (designer of sofas, armchairs and accessories) and Kvadrat (Europe’s leading manufacturer of designer textiles) to design a limited edition sofa based on Cristian’s pixel print designs applied to upholstery. I think you will agree that the results are spectacular! 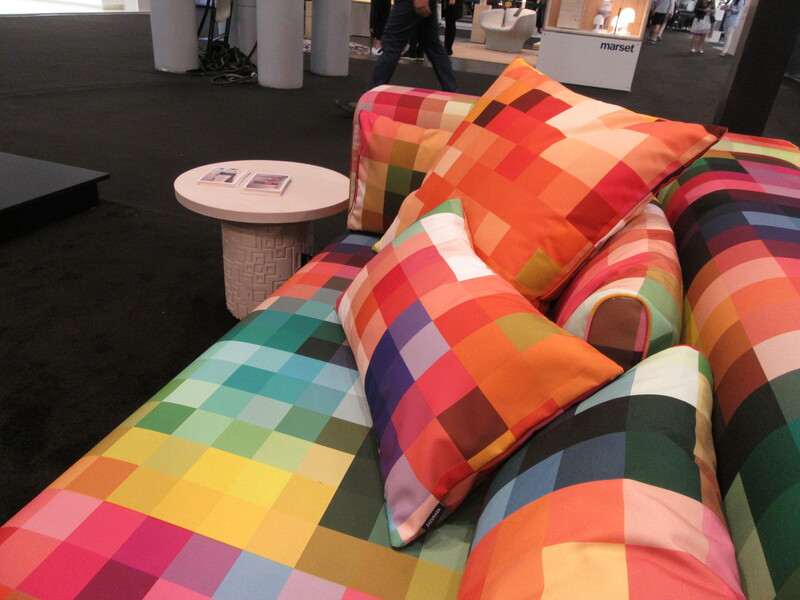 The Pixel sofa also comes with a generous selection of coordinating throw pillows and cushions for a comfortable and fully immersive experience! Fire is one of six distinctive design variations in the Pixel series. 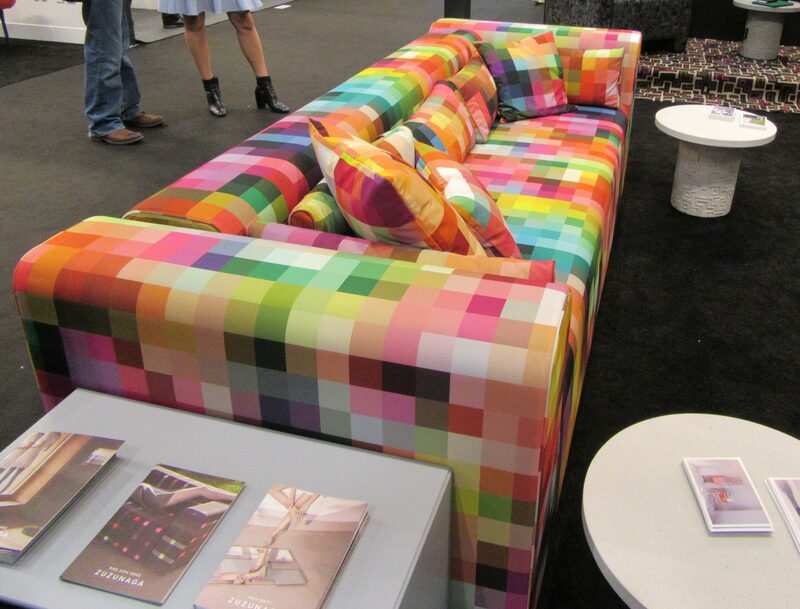 Each design is unique, so no two sofas will ever look identical. An intrinsic element to Cristian’s work is his belief in the way that color can positively affect human emotion. As a result, the covers are removable, allowing you to change the look of your sofa to reflect your mood and your individual style. Suggested price point: 5,995 Euros.